Sought after by many powerful leaders and celebrities like Oprah Winfrey, Sara Jessica Parker, Amal Alamuddin and Mo Abudu, so his artisanry would adorn them in style for their most special career and life-defining moments, Oscar de la Renta died at age of 82 earlier this week. He inspired many with his words layered with wisdom and designed with wit. And de la Renta's designs never shied away from gaining notice. He was memorable in using volume, color and dramatic construction to his pleasure. "If you wear a different perfume every day, I do not recognize you." Have you ever found yourself providing a different service each day? Are you a fashion designer one minute, a doctor the next and perhaps a fisherman by night? Or perhaps you're the type that changes the name of your company three times a month. There comes a point in time that you've just got to settle down and become recognizable. Allow others to fully absorb what you stand for, what you do and how you do it. Find a common thread among all your ideas and stick to a concept. Take the time to pick your niche, then zero in on your skills and stick to it. People work with and invest in people who they believe care. They are more likely to work with and invest in you because of how you make them feel, in addition to the quality of the work. People want to work with people who act like human beings. Be sensitive but firm, nice yet discerning. You don't have to be a jerk to make a powerful move or show that you're brilliant. Calm down. 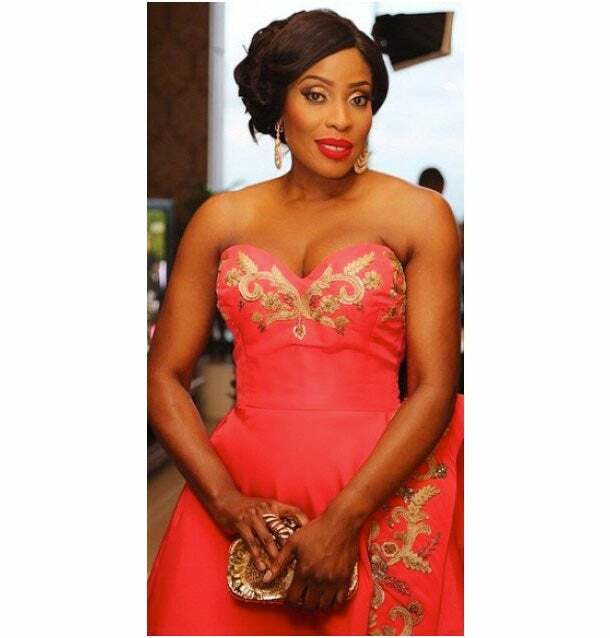 TV host Mo Abudu wears an Oscar de la Renta gown for her 50th birthday bash in September. At times entrepreneurs get caught up with the intention of keeping their businesses ahead by adopting all the latest technologies, attending all the best events and providing every trendy new service. Remember that staying authentic to the reason you're in business keeps it timeless. Don't ever forget why you do what you do. It's easy to become carried away by the hype and glamour of your company's publicity and marketing tactics. Remain true to your craft and actually sell services or products that people need. An entrepreneur has to eat -- seriously. "I am inspired by women." Entrepreneurship can be a difficult and lonely road. Every entrepreneur should identify his or her source of inspiration to maintain motivation and retain passion.